On 17th May 2018, the Court of the First Instance (CFI), handed down its ruling on an application for summary judgment in Taching Petroleum Company, Limited v Meyer Aluminium Limited  HKCFI 1074 (Taching Petroleum). 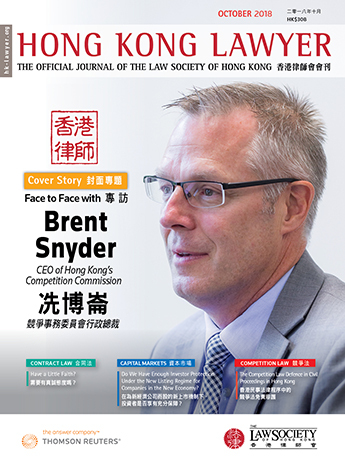 The case is a landmark in the use of private remedies in Hong Kong for breach of competition law. The defendant in the action raised a novel defence in Hong Kong law: an allegation of price fixing by the plaintiff in breach of the First Conduct Rule (FCR) in s.6(1) of the Competition Ordinance (Cap.619) (CO). The FCR prohibits an undertaking from making or giving effect to an agreement or engaging in a concerted practice “if the object or effect of the agreement… [or]… concerted practice is to prevent, restrict or distort competition”. 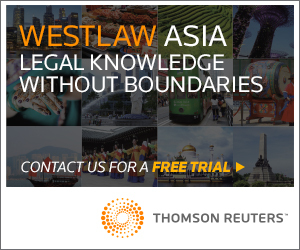 Lam J (also President of the Competition Tribunal (Tribunal)) granted the defendant leave to defend—marking the first time a court in Hong Kong acknowledged the possibility of a viable competition defence. the net prices (list price less discount) that both diesel suppliers charged the defendant were almost identical over an extended period of time. The inference being that this could not have been achieved without some coordination by the suppliers. The CFI accepted that s.113(3) CO, which deals with the transfer of proceedings to the Tribunal, was engaged, because s.142(1)(d) CO provided that the Tribunal has jurisdiction to hear and determine “allegations of contraventions… of the conduct rules raised as a defence”. Following an examination of the statutory provisions, the CFI took the view that even though s.113(3) CO used the word “must”, which might be taken to suggest that a transfer to the Tribunal is mandatory, the CFI considered that it may examine the quality of any competition law defence raised in an application for summary judgment and if that defence is struck out under general principles, no competition law defence would remain that called for a transfer. The plaintiff and the defendant did not dispute, and the CFI agreed, that for the purposes of an application for summary judgment, competition law defences are not in a special category. The general principles regarding summary judgment applications apply and the question is whether a defence is believable. The CFI emphasised, however, a need for careful scrutiny of competition law defences, citing the decision of the English High Court in Intel Corp v Via Technologies Inc ( FSR 12,  EWHC 1159 (Ch), because of the ease with which a competition defence might be generated on the basis of “vague or imprecise allegations”. The CFI noted that while parallel conduct cannot be equated with a concerted practice, it may be evidence of such a practice. Citing the Court of Justice of the European Union (CJEU) in Imperial Chemical Industries Ltd EU:C:1972:70, the CFI noted that this would be particularly the case if the parallel conduct lead to conditions of competition which did not correspond to the normal conditions of the market, having regard to the nature of the products, the size and the number of the undertakings and the volume of the market. The CFI also explained that the law did not insist on direct evidence. It is commonplace for collusion to take place clandestinely. The CFI cited the CJEU decision in Knauf Gips KG, EU:C:2010:389 (paragraph 49) in this context: “the existence of an anti-competitive practice or agreement must be inferred from a number of coincidences and indicia, which, taken together, may, in the absence of another plausible explanation, constitute evidence of an infringement of the competition rules”. The CFI found that it did not need to examine and analyse the precise extent of the parallel conduct in detail. In the light of (i) the prima facie evidence of parallel pricing over a prolonged period at levels which substantially exceeded the prices charged by the rest of the market, (ii) the uncontradicted evidence that the list price and discount were both confidential information, and (iii) the absence of any evidence from the plaintiff to show that the defendant’s assertions of fact were beyond belief, the defendant’s case could not be summarily dismissed. There were matters that warranted investigation in a trial; Lam J granted leave to defend. Counsel for the plaintiff in Taching Petroleum accepted that if the plaintiff and a competing supplier of diesel had contravened the FCR through price fixing, the defendant would arguably have a defence on the grounds of illegality. In this context, defendant’s counsel argued that if there was a contravention of the competition rules, the defendant would be entitled to damages which could be set off against the price claimed by the plaintiff. In reply, plaintiff’s counsel submitted that the defendant could only claim damages in a follow on action under s.110 CO if and when the Tribunal had determined that the plaintiff contravened the FCR and that, since no investigation had been opened by the Competition Commission against the plaintiff, there was no basis for set off. While Lam J expressed some doubt that the defendant had a cause of action for damages under the CO other than by way of a follow on action under s.110, he explained that “a follow on action can be issued after a judicial finding of contravention has been made not only in the context of an enforcement action brought by the Commission, but also in the context of a defence in an action raising a contravention of a conduct rule”. This is a striking conclusion not least in so far as it opens the way to an award of damages even without an investigation by the Competition Commission (it will be recalled that under the CO there are no stand-alone rights of action). His Lordship’s conclusion also raises the question of whether in an addition to making an order that a person has contravened a competition rule in proceedings transferred from the CFI, the Tribunal might be willing to make other orders. Be that as it may, s.93(1) CO provides very clearly that a pecuniary penalty can only be ordered “if the Tribunal is satisfied, on application by the Commission under section 92, that a person has contravened or been involved in a contravention of a competition rule”. The UK Government has since enacted a series of reforms, including the introduction of a class action regime designed to facilitate such private enforcement. 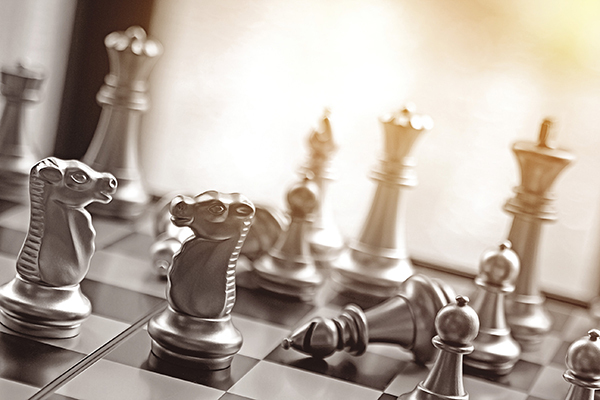 The use of competition law as a defence to contractual claims is a well–established and powerful tool in the UK and elsewhere, both in litigation before the courts and also in private arbitration. 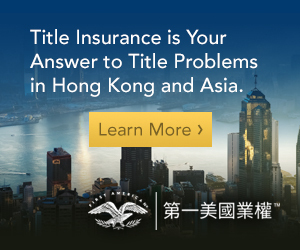 There is an evident public interest in allowing such claims to be addressed, but there is undeniably also a potential tactical attraction to such claims: they may serve to convert a seemingly straightforward debt claim into litigation of much greater complexity, with the attendant potential to drive settlement. The CFI’s approach which ensures that such claims are properly arguable serves to prevent the abusive use of such stratagems. It is important to be clear about the scope of the judgment in Taching Petroleum. At the heart of the CFI’s approach was a concession by the plaintiff that if it had breached the FCR, the defendant arguably had an illegality defence. In our view that concession was clearly correct. Such an approach should also follow in the case of a contractual term which breached the second conduct rule: see, eg: English, Welsh and Scottish Railway Ltd v E.On and Office of Rail Regulation  EWHC 599 (Comm). As a result of that concession, the CFI did not need to address the defendant’s alternative argument that a right to claim damages by way of set off arose as a result of a breach of the FCR—irrespective of any argument based on the illegality of the contract. The learned Judge expressed “some doubt” about the point, however, on the basis that a follow-on action can be issued only after a judicial finding has been made: either as a result of an enforcement action by the Competition Commission, or in the context of a defence based on contravention of a conduct rule. The Judge’s observations in the case were clearly obiter dicta but reflect the terms of s.110 CO which provide for a follow on claim to be brought before the Tribunal in specified circumstances, including where the breach of a conduct rule has been raised as a defence. Thus, this analysis at least opens the door to a claim for damages being brought subsequent to the successful invocation of the conduct rules as a defence. That may be procedurally inefficient, but appears to reflect the structure of the CO. The existence of a freestanding right of action would, however, have considerable value in situations where no contract exists between the victim of the infringement and the infringing party. 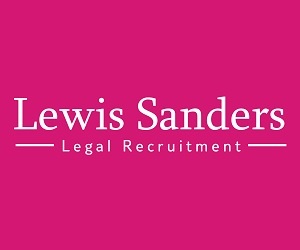 There are numerous situations in which a breach of the conduct rules may arise in the absence of any contractual arrangement between the parties. Thus, by way of example, a party might wish to complain about an exclusive supply agreement which ties up a large part of a market, or an abusive system of customer rebates. The difficulty is, however, such a victim of infringing conduct may very well not find themselves in the role of defendant to an action brought by the infringer. What is needed in such a situation is a right to sue proactively as plaintiff. It is clear that the CO does not expressly contemplate any such claim. The result, however, is that the ability to vindicate harm suffered as a result of breach of the conduct rules in private proceedings depends upon a contingency: the victim must find itself on the receiving end of litigation commenced by the perpetrator. Yet such harms are not in any sense more serious than the kind of harm that a potential plaintiff might suffer. The distinction between the two positions is, we would respectfully submit, illogical. Might such a freestanding claim be brought on the basis that such conduct is a breach of statutory duty, owed to the victim by virtue of the conduct rules in the CO? In our view there are considerable obstacles to the development of such an approach by the Courts. Clause 111 of the Competition Bill originally presented to the Hong Kong Legislative Council made provision for standalone actions, but it was not enacted. Moreover, s.108 CO prohibits the bringing of proceedings “independently of the Ordinance” where “the cause of action is the defendant’s contravention” of a conduct rule. It would be necessary to argue that the cause of action in such a case was the breach of statutory duty, rather than a contravention of the conduct rules which may be a distinction without a difference. The judgment in Taching Petroleum is an important step forward for the availability of the remedies provided under the CO. The use of a competition defence in private litigation and arbitration is likely to prove of great practical value. There remains, however, an important lacuna in the system of remedies under the CO in so far as there is no ability for a plaintiff to bring a private action for breach of the conduct rules. The likely result will be that serious harm caused by infringements of the conduct rules will go uncompensated and unaddressed. That in turn has a detrimental impact upon the incentives provided by the competition regime. It remains to be seen whether legislative or judicial action will serve to address this shortfall. Tim Ward QC, is widely recognised as a leading litigator and advocate in the fields of competition, telecommunications, public law and EU law. Tim has particular expertise in commercial and regulatory matters, acting in disputes across the full range of regulated industries, including energy, water, telecoms, aviation, financial services, gambling and sport. His practice is increasingly international. He has appeared in more than 50 cases before the European Courts (including the EFTA Court) and has over 30 reported cases in the field of public law, including before the Supreme Court. Prior to taking silk, Tim was a member of the Attorney General’s A Panel. He sits as an adjudicator on the judicial panels of both the Rugby Football Union and the Football Association. Tim was awarded “Barrister of the Year” at The Lawyer Awards 2013 and was Chairman of the Bar European Group, 2013-2015. He is a Bencher of Gray’s Inn.